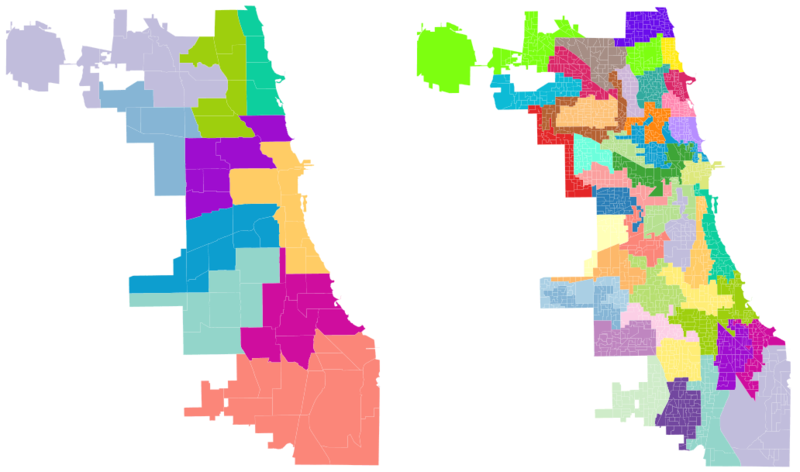 Many observers agree that the Chicago City Council ward system suffers from problems of gerrymandering, intense segregation, vestiges of machine politics, and inefficiency. In our latest report, we apply mathematical models to analyze Chicago’s current ward plan and compare several reform proposals to address its problems. Our findings strongly support a transition to multimember wards with ranked choice voting to secure and sustain fair representation. MGGG has organized a collaborative effort of mathematical and legal experts to file an amicus brief for the upcoming Supreme Court gerrymandering cases. An amicus brief is a “friend of the court” filing, where outside parties try to help supply the court with useful information. The Voting Rights Data Institute is a 6-week summer program of the Metric Geometry and Gerrymandering Group (MGGG), a Boston-based team of mathematicians and computer scientists working on U.S. redistricting. The second annual VRDI will run from June 17 to July 26, 2019. Read more about it at gerrydata.org.